Cabin 2 is a 2 bedroom lake front cabin with amazing views. Bedroom 1 has 1 queen bed. Bedroom 2 has 2 single beds. Sofa bed in the living room. Full bathroom with tub shower. AC, TV, firepit. 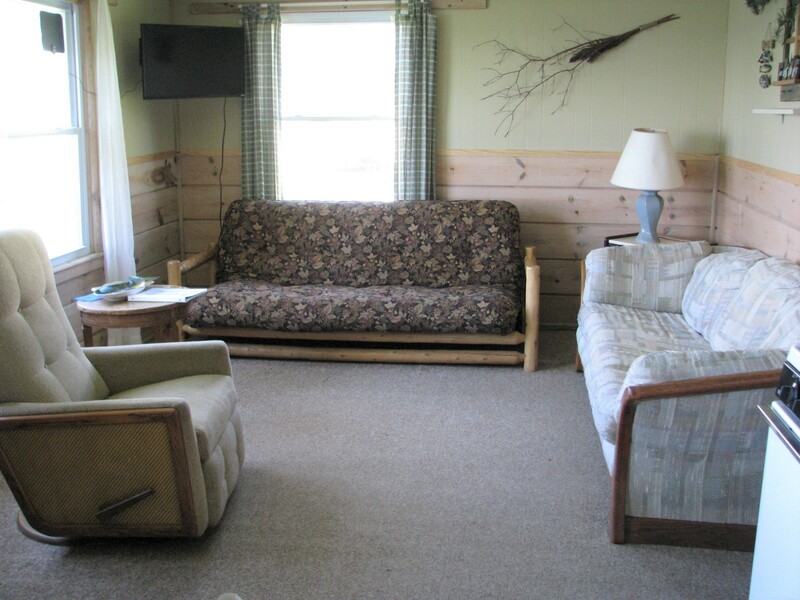 Cabin 3 is a 3 bedroom lake front cabin with gorgeous views. Bedroom 1 has 1 queen. Bedroom 2 has 2 single beds. Bedroom 3 has 2 single beds. Sofa bed in the living room. Full bathroom with tub shower. AC, TV, firepit. 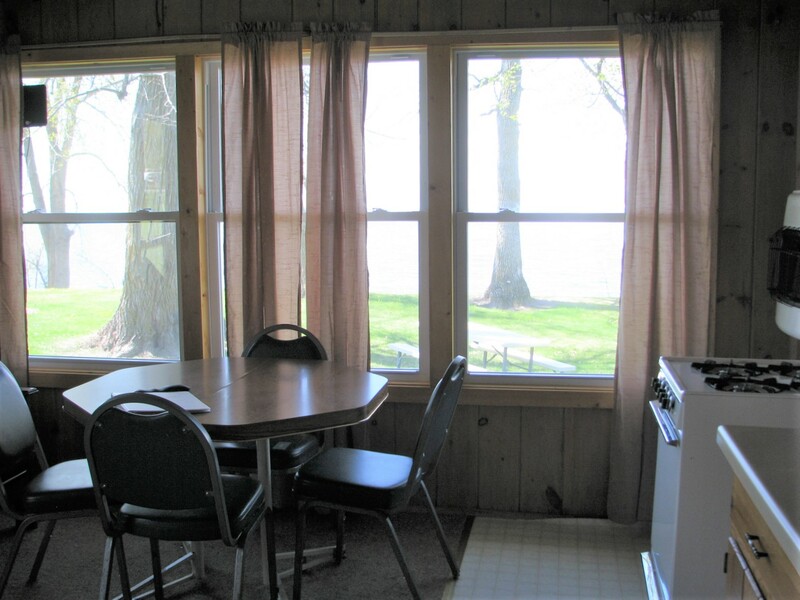 Cabins 4 & 4A are both 3 bedroom lake front cabins with spectacular lake and sunset views. Bedroom 1 has 1 queen. Bedroom 2 has 1 double and 1 single bed. Bedroom 3 has 2 single beds. 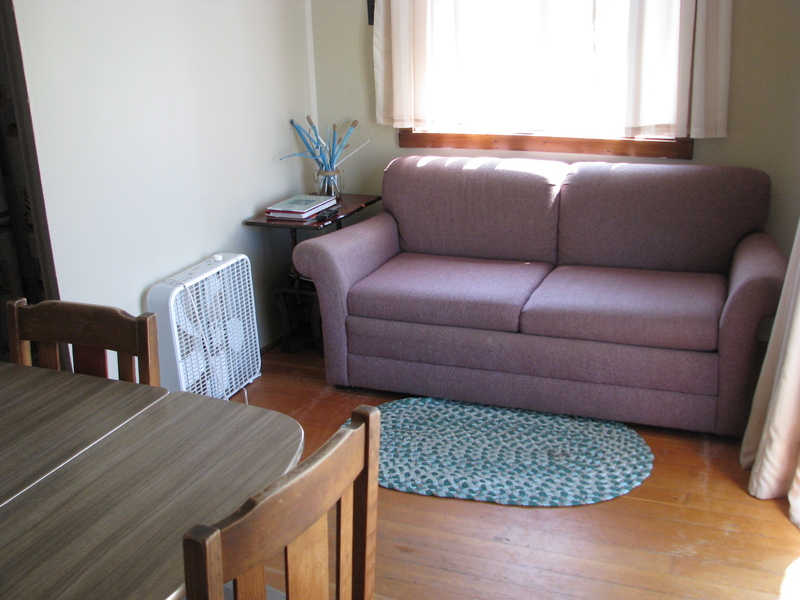 Sofa bed or futon and recliner in the living room. 2 full bathrooms. AC, TV's, large deck, firepit. 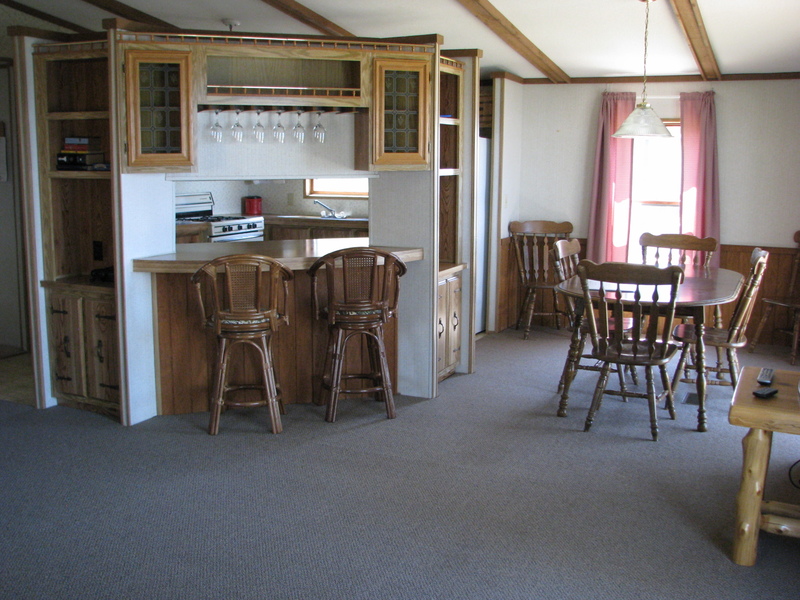 Cabin 5 is a 3 bedroom lake front cabin with a spectacular lake and sunset view. Bedroom 1 has 1 double and 1 single bed. Bedroom 2 has 3 single beds (1 set of bunks). Bedroom 3 has 1 queen bed. Sofa bed and recliner in the living room. 2 full bathrooms. AC, TV, large deck, firepit. 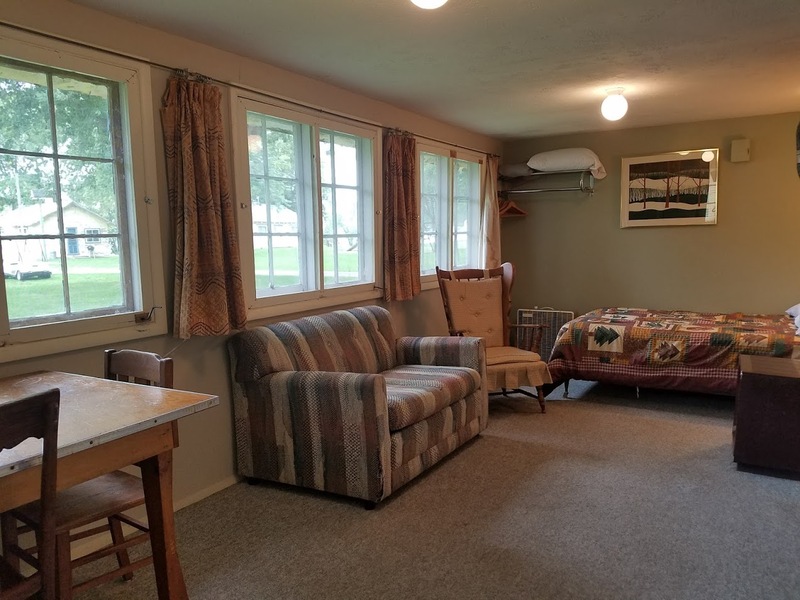 Cabin 6 is a 2 bedroom lake front cabin with gorgeous views. Bedroom 1 has 1 queen bed and 1 single bed. Bedroom 2 also has 1 queen bed and 1 single bed. Sofa bed in the living room. Full bathroom with shower. AC, TV, firepit. Cabin 7 is a 3 bedroom lake front cabin with a gorgeous view. Bedroom 1 has 1 king bed. Bedroom 2 has 1 double and 1 single bed. Bedroom 3 has 3 single beds. Futon and sofa in the living room. Full bathroom with tub shower. AC, TV, firepit. Cabin 8 is a lake front cabin with gorgeous views. Bedroom 1 has 1 queen and 1 single. TV and sofa in the living room. Full bathroom with shower. Cabin 9 is a lake front cabin with gorgeous views. Bedroom 1 has 1 queen. TV and futon in the living room. Full bathroom with tub shower. 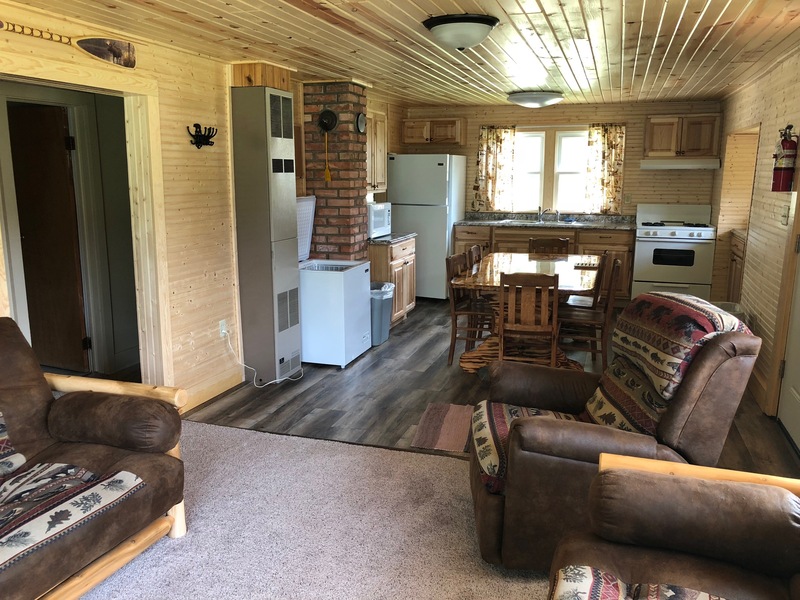 Cabin 10 is a 2 bedroom lake front cabin with gorgeous views. Bedroom 1 has 1 queen and 1 single bed. Bedroom 2 also has 1 queen and 1 single bed. Sofa bed in the living room. Full bathroom with tub shower. AC, TV, firepit. 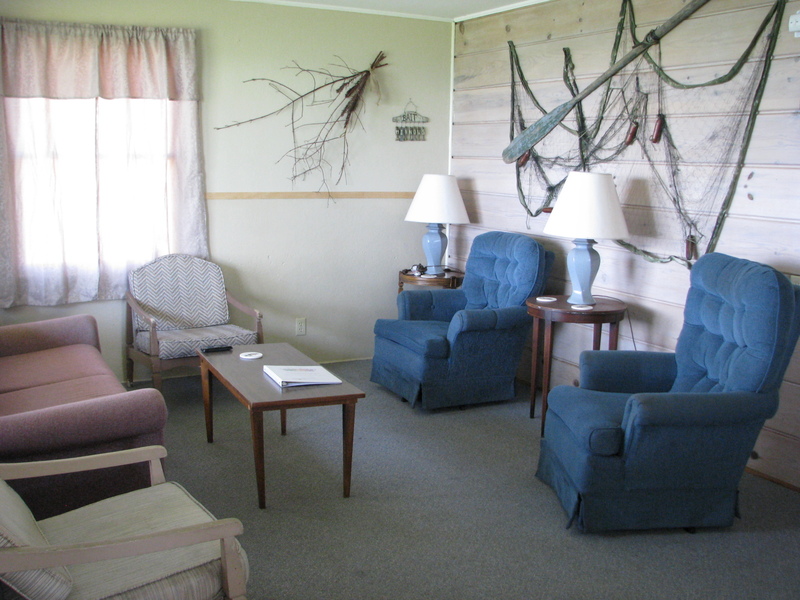 Cabin 11 is a 2 bedroom lake front cabin with spectacular views. Bedroom 1 has 1 queen and 1 single bed. Bedroom 2 also has 1 queen and 1 single bed. Sofa bed and recliner in the living room. Full bathroom with tub shower. AC, TV, firepit. Cabin is next to the harbor. 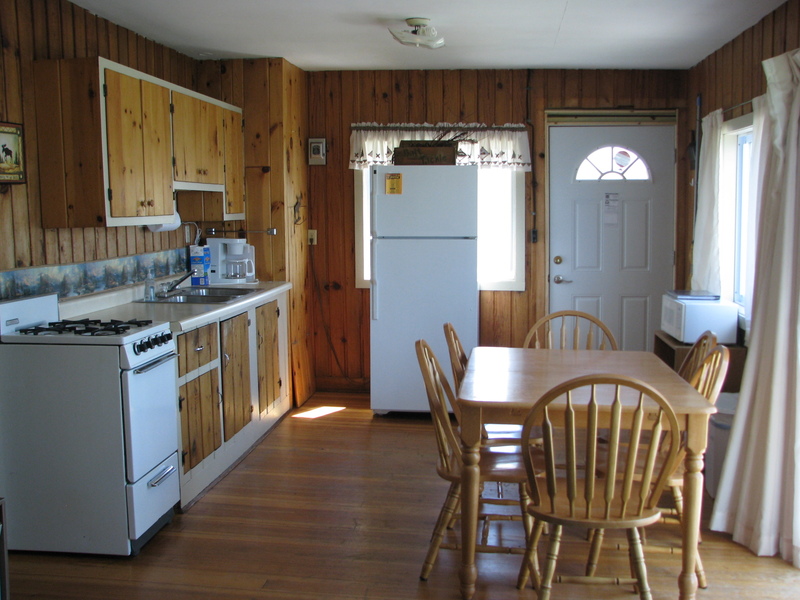 Cabin 12 is a 2 bedroom lake front cabin with gorgeous views. Bedroom 1 has 1 queen bed. Bedroom 2 has 2 single beds. 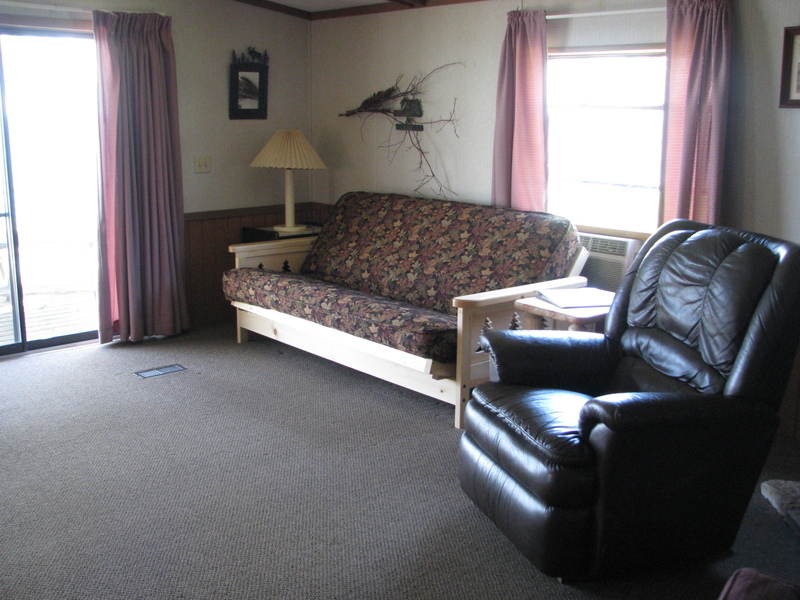 Sofa bed and recliner in the living room. Full bathroom with shower. AC, TV, deck, firepit. 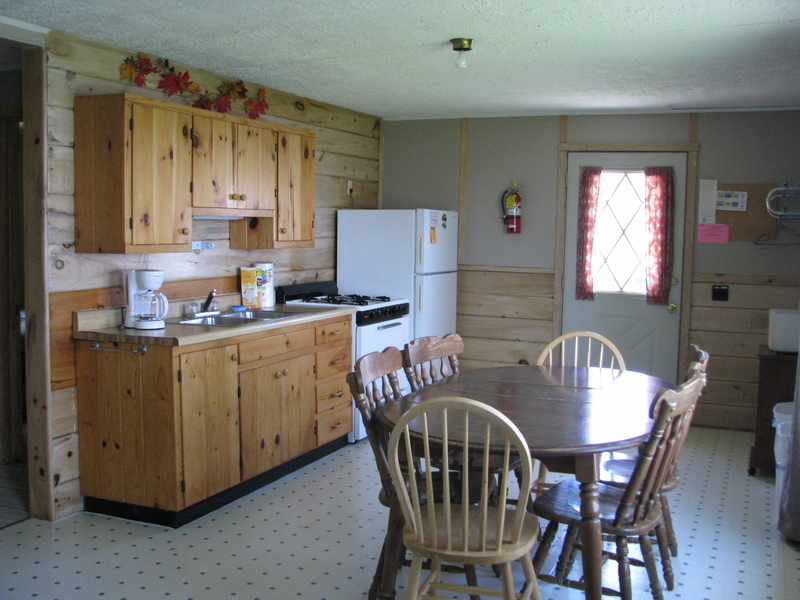 Cabin 14 is a 2 bedroom lake front cabin with gorgeous views. Bedroom 1 has 1 queen bed. Bedroom 2 has 2 single beds. Sofa bed in the living room. Full bathroom with shower. AC, TV, deck, firepit. 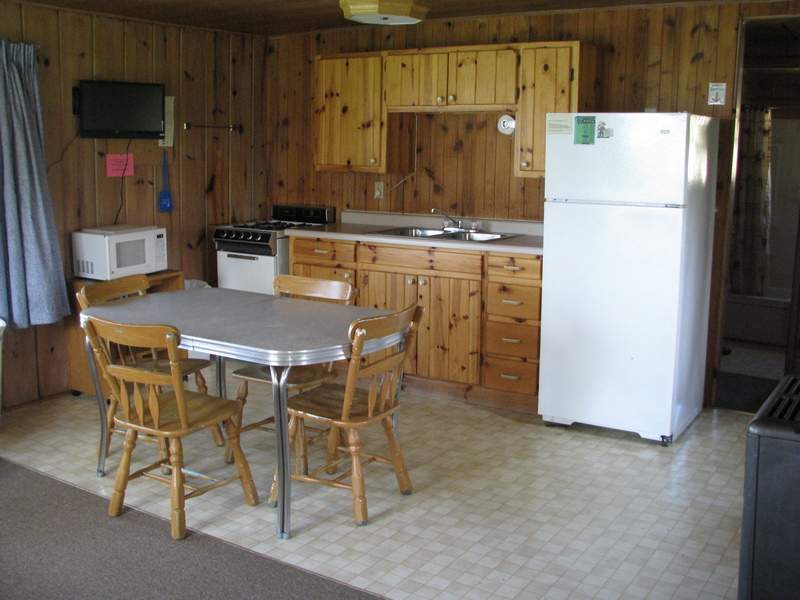 Cabin 15 is a 2 bedroom lake front cabin with gorgeous views. Bedroom 1 has 1 queen bed. Bedroom 2 has 1 double and 1 single bed. Futon and recliner in the living room. Full bathroom with shower. AC, TV, & deck. 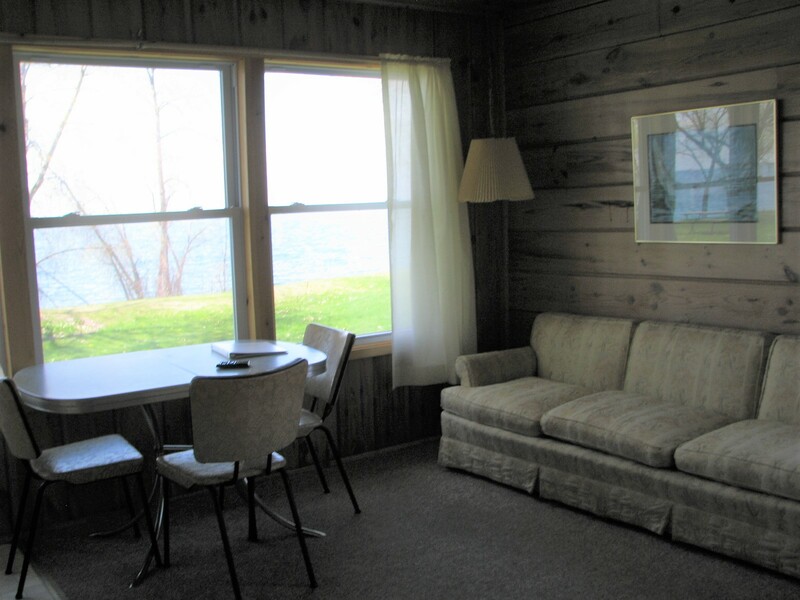 Cabin 16 is a 1 bedroom lake front cabin with gorgeous views. Bedroom 1 has 1 queen bed. Sofa bed in the living room. Full bathroom with shower. AC, & TV. Cabin 17 is a 1 bedroom lake front cabin with spectacular views. Bedroom 1 has 1 double bed and 1 single bed. Sofa bed in the living room. Full bathroom with shower. AC, TV, deck. 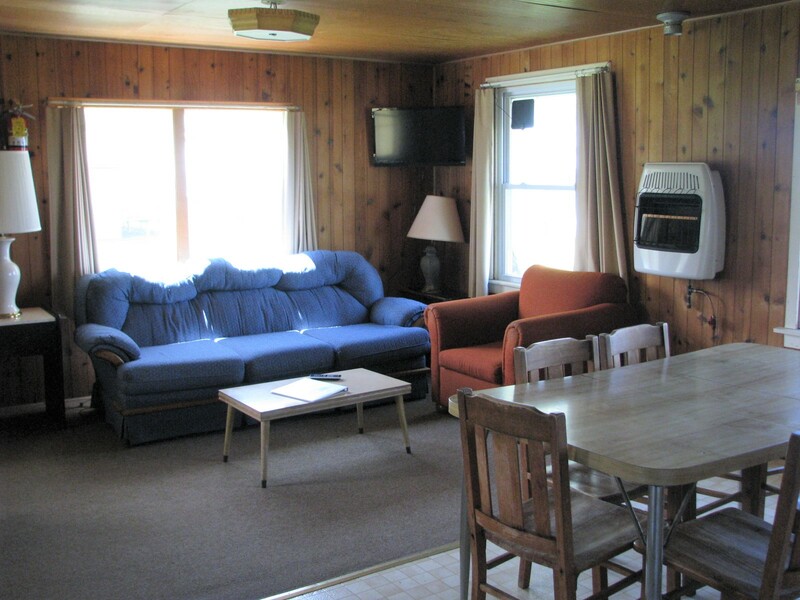 Cabin 18 is a 2 bedroom lake front cabin with gorgeous views. Bedroom 1 has 1 queen bed. Bedroom 2 has 1 queen bed. Sofa bed and recliner in the living room. Full bathroom with shower. AC, TV, deck, firepit. Cabin 19 is a 2 bedroom cabin with lake views. Bedroom 1 has 1 queen bed. Bedroom 2 has 2 single beds. Sofa bed in the living room. Full bathroom with shower. AC, & TV. 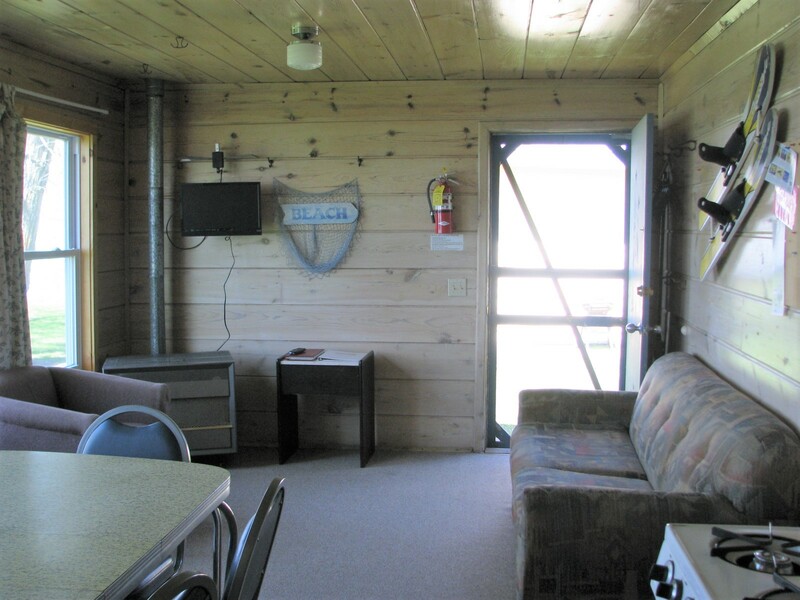 Cabin 20 is a 1 bedroom cabin with lake views. Bedroom 1 has 1 queen bed. 1 double bed and a twin size sofa bed in the living room. Full bathroom with shower. AC, & TV. Cabin 23 is a 3 Bedroom cabin with an amazing view. Bedroom 1 has 1 queen. Bedroom 2 has 2 single beds. Bedroom 3 has 2 single beds. 2 Full size futons and a recliner in the living room. Full bathroom with shower. AC, TV, chest freezer, deck, grill and firepit. Updated 2018.